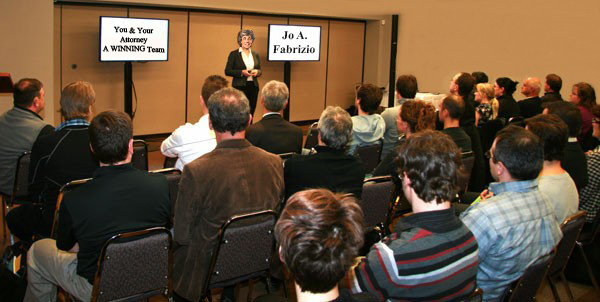 Jo A. Fabrizio has presented seminars on a variety of topics for different groups. Ms. Fabrizio is available to speak to professional, service or community organizations on a variety of legal issues. Below is a representative listing of some of the seminars which Ms. Fabrizio would be happy to present. please contact us at 607-771-1984 or e-mail us at jafabrizio@fabriziolaw.com.